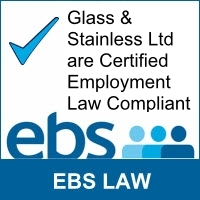 Why Choose Glass and Stainless? Glass and Stainless Limited offer the construction industry a new approach to sourcing Architectural glass and stainless steel products. With our ‘one stop shop’ philosophy we maintain a high level of service and quality from a dedicated and professional team. Let us help you on your current project, from concept to completion, we’re here to assist you along the way.